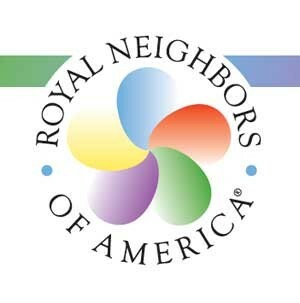 (ROCK ISLAND, IL) March 4, 2015 – Royal Neighbors of America, one of the nation’s largest women-led life insurers, has launched the new, groundbreaking Promise Plus coverage. It is a whole life insurance product offering a Cancer Waiver of Premium Rider to benefit women in the event of a diagnosis of cervical, ovarian, or breast cancer. “Many insurance companies are marketing their products to women, but none has ever developed life insurance coverage like Promise Plus specifically addressing issues around these cancers,” said Cynthia Tidwell, President/CEO of Royal Neighbors. “For women with a strong history of female cancers, the life insurance gives them peace of mind for themselves and their families.” The Cancer Waiver of Premium Rider is designed to protect women under 60 if they are diagnosed with cervical, ovarian, or breast cancer at Stage II or higher. When added to a Royal Neighbors whole life insurance policy, this rider waives the premiums for the next two years following the diagnosis. The coverage is the first of its kind in the nation. Promise Plus has a patent pending, yet another demonstration that Royal Neighbors is Insurance with a DifferenceSM. The rates for this rider vary depending upon the insured’s situation. However, this added protection is very affordable. For example, a 35-year-old female with standard non-tobacco underwriting would pay $95.44 monthly to age 121 for $100,000 in whole life coverage – adding the rider coverage only increases this payment by $.76 to $96.20. Promise Plus is now available through Royal Neighbors of America agents. For more information about Promise Plus and Royal Neighbors’ complete line of financial products, visit www.royalneighbors.org.